Every night before I go to bed, and every morning when I awake, I walk to my balcony and look at Music Hall. This majestic edifice serves as a reminder of the power of ideas and the will to change things for the better, even when others can only imagine disaster. It was Reuben Springer’s idea to bring this massive structure to life and improve upon the tin-roofed building that preceded it. 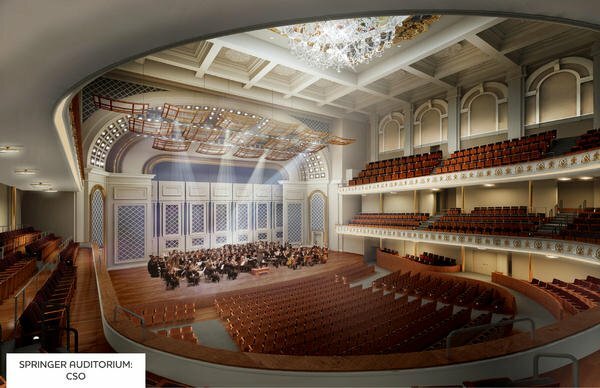 It was someone else’s idea to make the interior space smaller in 1895, so the Cincinnati Symphony could play there in a better acoustic environment. Probably there were people then who considered that foolhardy. Additional, periodic changes and updates have been implemented over the past 140-ish years to better suit the needs of the times. Now it’s time to bring Music Hall in line with 21st century reality. Music Hall is a living, breathing concert hall, where creative minds go to work each day, often reinterpreting works of the past, but also shaping the future with new fruits of imagination. Times change. Tastes change. So must classical music, opera and dance, if they are to stay relevant to our evolving society. And venues must change to meet their needs or risk becoming obsolete. In other words, if Music Hall remains as is, the resident companies eventually would pursue other more suitable options. Then what happens? Several voices have been heard in recent weeks criticizing the plans for updating Music Hall. How great that they care enough to speak out publicly. Others have supported the changes, especially those who ply their craft there, producing and performing. Those who have the most at risk in this proposition are the organizations and individuals who make art and conduct business within this space. They deal with the building’s beauties and its nightmares on a daily basis. I mostly view it from Prospect Hill. However, over the past 38-plus years, I have had dozens of opportunities to experience Music Hall from a variety of perspectives: vocal soloist, a cappella sextet, chamber choir with orchestra, mass choir with orchestra, opera chorus, volunteer, board member and, like most of you, attendee – from the best seats in the house to the worst. Much as we all love the hall, and the building that encases it, it has substantial flaws a basic refurbishing cannot address. The main problem is that Springer Auditorium is a bit too grand. One million cubic feet. More than 3,400 seats. Difficult to fill, either with sound or with people. Those critical of proposed changes fear that condensing its interior space might diminish its grandeur, when in fact, reducing the physical space actually should improve the experience, both visually and aurally. From my perspective, I would rather have the music sound more grand, even if that means the hall appears, to some, a bit less so. I’m frequently left wanting more sound from the CSO and Cincinnati Opera, even in the largest contexts. And also more detail, and better balance between soloist and orchestra. Making the hall a bit smaller will make the sound more thrilling, enveloping you in a way not possible now, and from most every seat in the house. The massive size also limits programming. Being a bit more intimate will allow somewhat smaller orchestral and operatic works to shine and will allow for more creative programming. More Bach, Handel and Mozart, but also more of the great chamber orchestra repertoire and smaller-scale operas from the 20th century. And dare I mention more new music? The patron experience will be better in the hall. Of this I have no doubt. Larger seats and more legroom are a no-brainer; no one argues against this. But the best thing is that everyone will be in the same room now. If you’ve sat in Section 4, Row 27, Seat 10, you know what I mean. (And so does every singer in the May Festival Chorus, trying to hear and stay with the conductor from behind the proscenium.) The music will be clearer: the softs can be softer, the balance will be better, the onstage ensemble cleaner. You will be closer, more a part of the action, able to take in much more nuance, visually and aurally. The currently-existing dead spots and annoying side-to-side echoes should be minimized. Sight lines will be greatly improved, with no more obstructed-view seats. And one reason for the steeper raking of rows in the Gallery is so everyone can see more of the stage. Watching an opera from Section L or V, it’s tough to even see the surcaps. And I would wager planners considered safety and ease of movement in making these changes. Government agencies likely have seen to that. Critics have worried about lost income from reduced seating. Let’s be honest: In recent decades, it’s rare for the hall to be three-quarters full (2,500 seats). Even Cincinnati Opera, with fewer productions, struggles to sell out. Venues in much larger cities have less capacity comparable to the projected new range of 2,263-2,524 seats: Carnegie Hall/2,804; San Francisco/2,739; Chicago/2,522; Minneapolis/2,077. How can smaller be better, economically? It is always more exciting when there’s a full house, and this inspires the performers, as well. There is a perception of success, which is carried home, shared via social media, perhaps inspiring more attendees. Also, the classical music community is recognizing that the theater folks have it right. Numerous performances. Capacity crowds. Time for good reviews to do their work, to build buzz, attract more audience. More opportunities for revenue to overcome marketing, rehearsal, production and fixed costs. An added benefit is that performers get to deepen their understanding of the music, fine-tune their interpretations and refine their ensemble. As a performer, it’s often disappointing to put so much effort into preparation and only experience a great composition just once or twice. Selfishly, you wish for another opportunity, but also for the chance to share that thrill with more people. Some are concerned that less capacity will cause ticket prices to escalate, limiting opportunities for those of lower means to attend. Grant-making foundations offer plenty of incentives to make performances accessible to all. The greater challenge is getting them to attend. 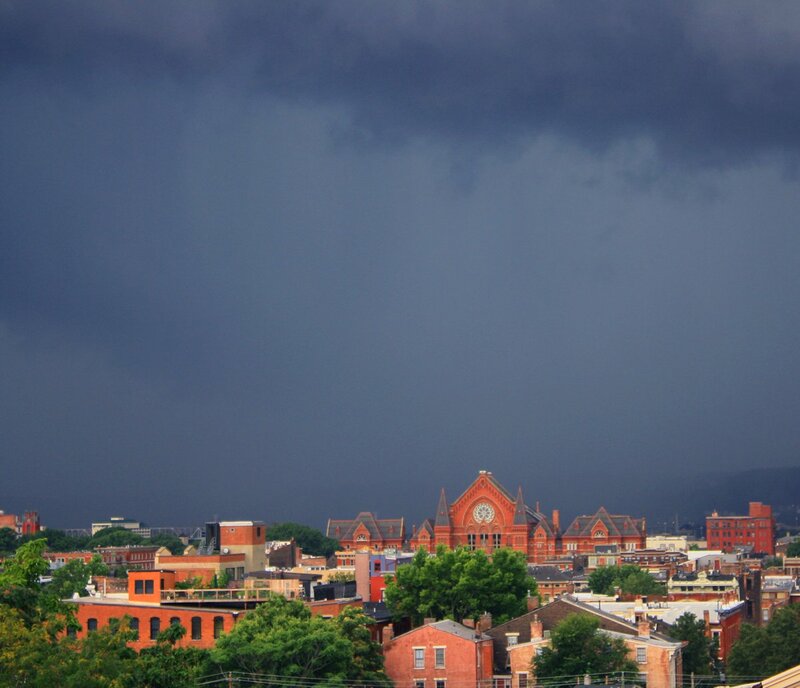 No matter how many people go to Over-the-Rhine to live or for entertainment, you still have to get them into the hall, and you better optimize the experience for those who do attend and sit in the cheap seats. While it’s wonderful that people care so much about the future of Music Hall, it’s time to let fears subside. The building is going to change; it has to. And it’s in the most capable hands money can buy. The organizations and the planners have spent a decade trying to make things perfect, but there are going to be things someone doesn’t like. It’s impossible to please everyone. Instead of nitpicking this to death, let’s get excited about the possibilities. After all, there will be 62 percent more toilets! And yes, I do believe the new Music Hall will provide a much better experience for performers and patrons alike. I can’t wait. Watch a Youtube video on Music Hall acoustics. Thom, really beautifully written, and makes perfect sense. Thank you so much for writing this. You speak for almost all of us who work there. Excellent commentary, Thom. Thank you. Bravo Thom–you hit the nail on the head!